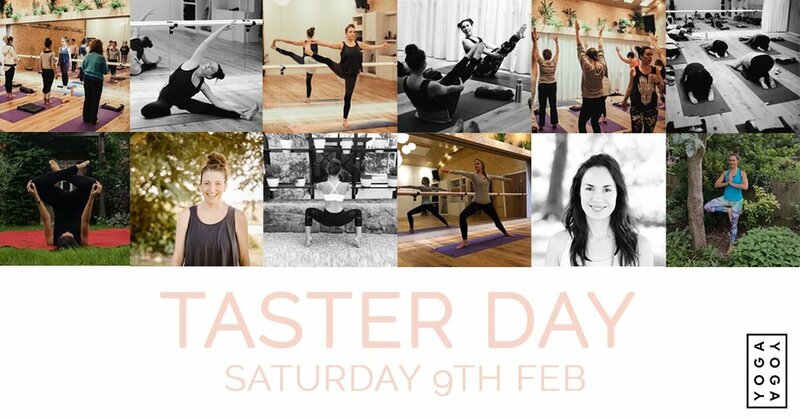 Join us for our taster day on Saturday 9th February from 1pm and try a class for £5 or stay for the whole day for £20. Booking opens on Wednesday 23rd January. More details on the schedule below. A taster class is the perfect way to find out what it's about and enjoy trying something new. This is a 45 minute session. BarreConcept®. BarreConcept is a creative workout, which combines elements of dance, the precision of Pilates, alignment of Yoga and the grace and technique of Ballet. Experience a 45 minute Balance Taster workshop that will help you still your mind and teach you how to practice balancing poses without straining the body excessively, allowing you to feel the joy of each asana (pose) bringing your awareness to their energy centres (chakras). The full 2 hour Balance Workshop is on Saturday February 16th at 2-4pm. Try a different style or yoga with a new teacher, or even if your are familiar with Charis and her weekly Vinyasa-Flow classes - all are welcome to enjoy this special 45 minute workshop. Surya Namaskar, also known as Sun Salutation is the beautiful series of postures and is an excellent way to warm and awaken the entire body. During this 45 minute workshop, we will begin to learn about the different positions in a modified version of Surya Namaskar especially designed for beginners. The full 2 hour Beginners Surya Namaskar Workshop is on Sunday 17th February at 2-4pm. Restorative Yoga is a way of taking your body into a deep state of relaxation, through gentle movement and supporting the body to be able to rest entirely. This workshop will allow you to experience how wonderful this can be. The full 1.5 hour Relax and Renew® Restorative Yoga Workshop is on Saturday 23rd February at 3-4.30pm. Join us for the whole day and attend all 5 classes for £20 including refreshments BOOK NOW. Booking opens on Wednesday 23rd January. You may cancel up to 24 hours before the start of the class to receive a refund, cancellations made after this time will not be refunded but will open up the space for someone else to attend.